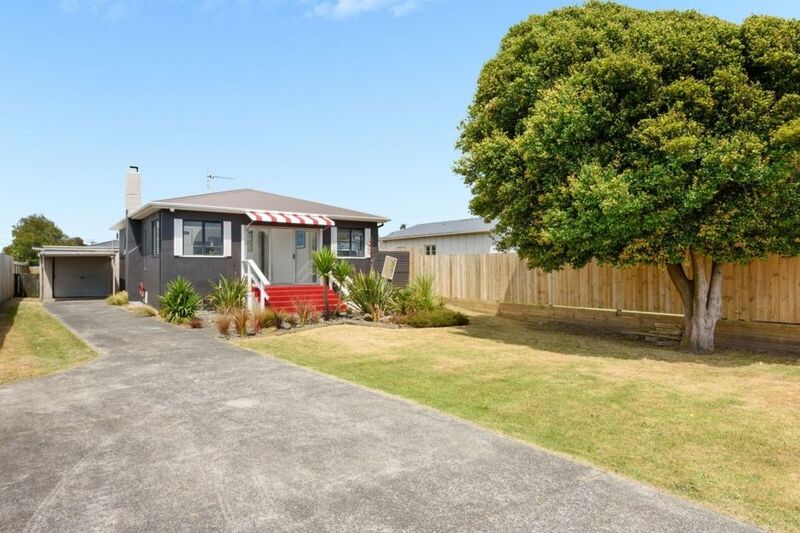 This is an awesome beach location with the golden sands of Papamoa Beach right across the road. A formed timber walkway meanders through the dunes to the beach, providing an easy stroll with the baby buggy and young children. The lovely 1940's character cottage has been fully renovated and has all new facilities, furnishings and furniture. A heat pump has been installed to ensure warmth in winter and coolness on hot summer nights. The large fully fenced and gated section is safe for kids and pets and provides ample off street parking for vehicles and the boat. The private, sunny outdoor living is well set up for those evening barbques or dine out at one of a variety of restaurants, cafes and bars in close proximity to Lulu Cottage. Memorable, relaxing times with family and friends start here. Cozy, clean and felt like home! Awesome little place. So handy having the beach right there, kids loved it! We had such a great time! Spacious, private, everything we needed was provided. We hope to be able to book this place again in the near future. Thank you again! Lovely home with everything you need for a great stay. We had such a great week at Lulu cottage this week. We have four children ages 12-1 and there was plenty of space for all of us. Everything we could imagine to need was provided which made packing easy. We enjoyed being just a short stroll from the beach and only a 5min drive to a great coffee shop. If we head to Papamoa again we will definitely be back to stay. The cottage was clean and well presented. Thanks again. I was very impressed with the high standard of facilities and cleanliness. My family had a fabulous time, especially my two grand-daughters, aged 7 and 12. There was so much to do at Mt Maunganui and the cottage was not too far from the activities. The beach being over the road was a huge plus and the two dogs thought they were in heaven. The cottage was a very high standard with the comfortable bedding, linen and facilities. The owners were lovely and kept me informed of instructions relating to door key, rubbish etc and even left a treat in the fridge for us. I give this place a 10/10. We had a fabulous holiday here, would recommend this property to others. Excellent! !